The year 2018 has been a delightful one for the critics as a pile of movies with some strong content came out at regular intervals. Apart from the verdicts as a box office hits many subtle movies surprised us with its quality. Let's take a look at the top 10 critically acclaimed movies of 2018. Pariyerum Perumal starring Vikram Vedha fame Kathir and Kayal fame Anandhi in the lead roles is being directed by Mari Selvaraj. This film is being produced by Pa.Ranjith under his banner Neelam Productions. Santhosh Narayanan handles the music for this film. Pariyan, a law student who belongs to an oppressed caste, falls in love with a Jothi, a girl from an upper caste. However, their relationship irks Jothi's family members, creating complications. The movie opened up to some great reviews for its realistic approach and a hard-hitting social message. Pariyerum Perumal became the biggest surprise hit of 2018. 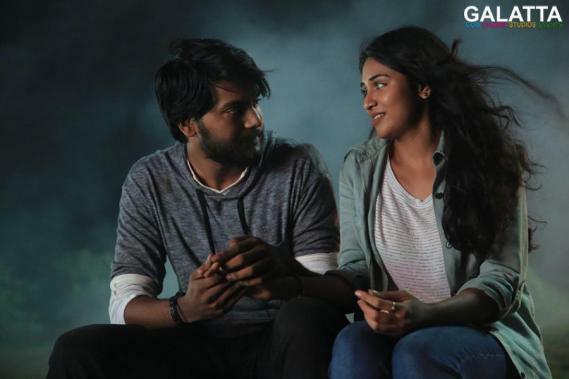 Directed by Lenin Bharathi, Merku Thodarchi Malai produced under the Vijay Sethupathi Productions banner has Antony and Gayathri Krishna in lead roles with 'Isaignani' Ilaiyaraaja scoring the music. Merku Thodarchi Malai showcases the lifestyle of the people who live in the western ghats and the struggle of the daily wagers. The movie was screened at several Film Festivals even before the theatrical release and has also won many awards in its run. Merku Thodarchi Malai is one of the few movies. Dhanush's Vada Chennai which hit the screens on October 17th in a grand manner lived up to his expectation and became a huge hit. The movie has become a successful one and fans are eagerly waiting for the second part of the movie. Vada Chennai is one of the few movies that was critically praised and also did a good job at the box office. The movie has become a successful one and fans are eagerly waiting for the second part of the movie. Nadigaiyar Thilagam is the bilingual biographical film, written and directed by Nag Ashwin. The film stars Keerthy Suresh, Dulquer Salmaan, Samantha Akkineni, and Vijay Devarakonda. It follows the life of Indian actress Savitri, depicting her turbulent rise to prominence, marriage with Gemini Ganesan, and subsequent fall from grace, viewed from the perspective of a journalist. The film is one of the best-made biopics of all time. Sila Samayangalil is written and directed by Priyadarshan. Produced by Isari Ganesh, Prabhu Deva, and AL Vijay. The film features Prakash Raj, Sriya Reddy, and Ashok Selvan in the lead roles. The movie features music composed by Maestro Ilaiyaraaja and cinematography by Sameer Thahir. The film was released on 1 May 2018 on Netflix. The film was among the top ten shortlisted films for the 74th Golden Globe Awards. 96, the romantic drama film written and directed by C. Prem Kumar came out to the big screens on October 4th. The film featured Vijay Sethupathi and Trisha in the lead and the film is bankrolled by Nandagopal of Madras Enterprises. The music for the film is composed by Govind Menon. 96 has been receiving a great word and the venture is an instant hit among all age groups. Vishnu Vishal's crime thriller flick Ratsasan released on October 5th received wonderful reviews all around and the movie has become one of the blockbusters this year. 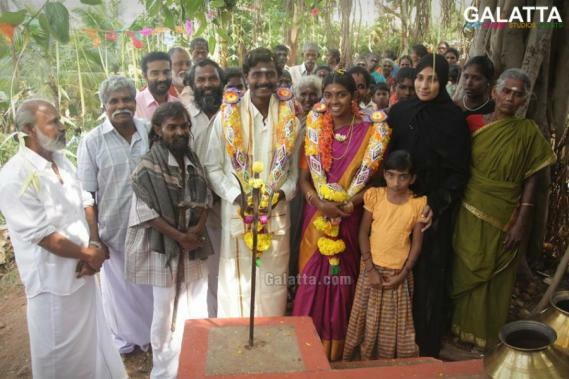 The movie is directed by Ram Kumar of Mundasupatti fame and produced by Axess Films has Amala Paul as the lady lead. Music is done by Ghibran. Vijay Sethupathi's Seethakaathi directed by Naduvula Konjam Pakkatha Kaanom fame Balaji Tharaneetharan hit the screens on December 20th. Vijay Sethupathi plays the character of 75 years old man in the movie. Govind Vasantha Menon who scored music for 96 handles the music department in this film. Mercury, the horror thriller film is written and directed by Karthik Subbaraj. The movie stars an ensemble cast including Prabhu Deva, Sananth Reddy, Narendran, Deepak Paramesh, Shashank Purushotham, Anish Padmanabhan, Indhuja and Gajaraj. S Tirru was hired as the cinematographer, making his first collaboration with Subbaraj. The film was released on 13 April 2018 worldwide except Tamil Nadu, where it was released on 20 April 2018. Even after its delayed release, the film got high-critical acclaim. Arunraja Kamaraj's first directorial venture Kanaa hit the screens on December 21. Kanna produced by Sivakarthikeyan Productions and is co-produced by Kalai Arasu. Kanaa has Aishwarya Rajesh as the main lead along with Sathyaraj, Sivakarthikeyan, Darshan, Ilavarasu, Munishkanth Ramadoss, Rama, Savari Muthu, Antony Bhagyaraj and many other newcomers. Kanaa is the last surprise of the year as it is the first Indian movie to be made on women cricket. The movie opened up to some phenomenal reviews and it is also doing a good job at the box office.